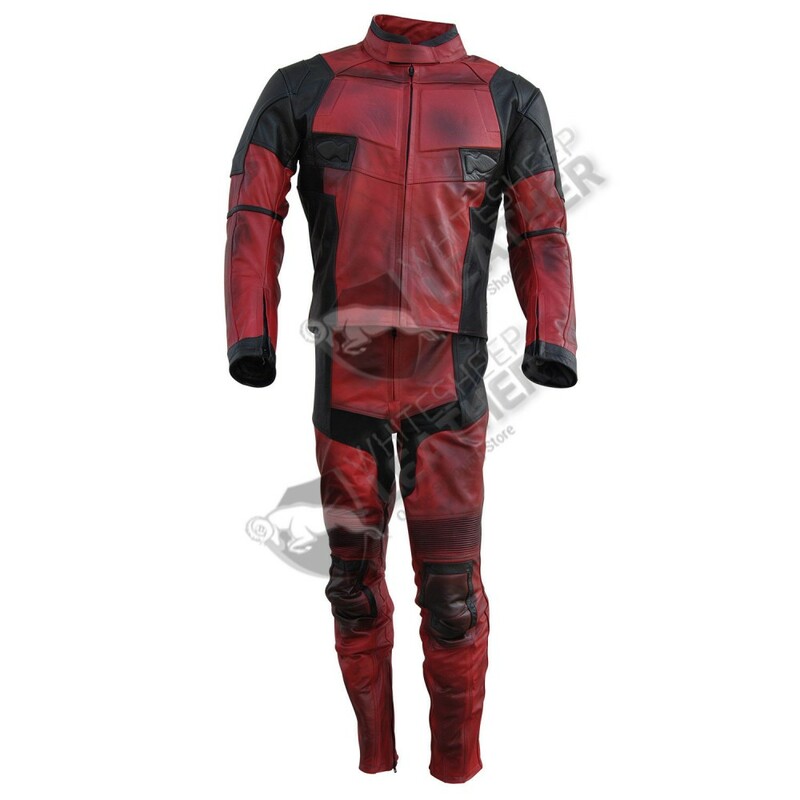 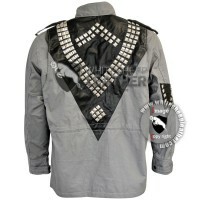 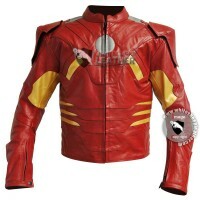 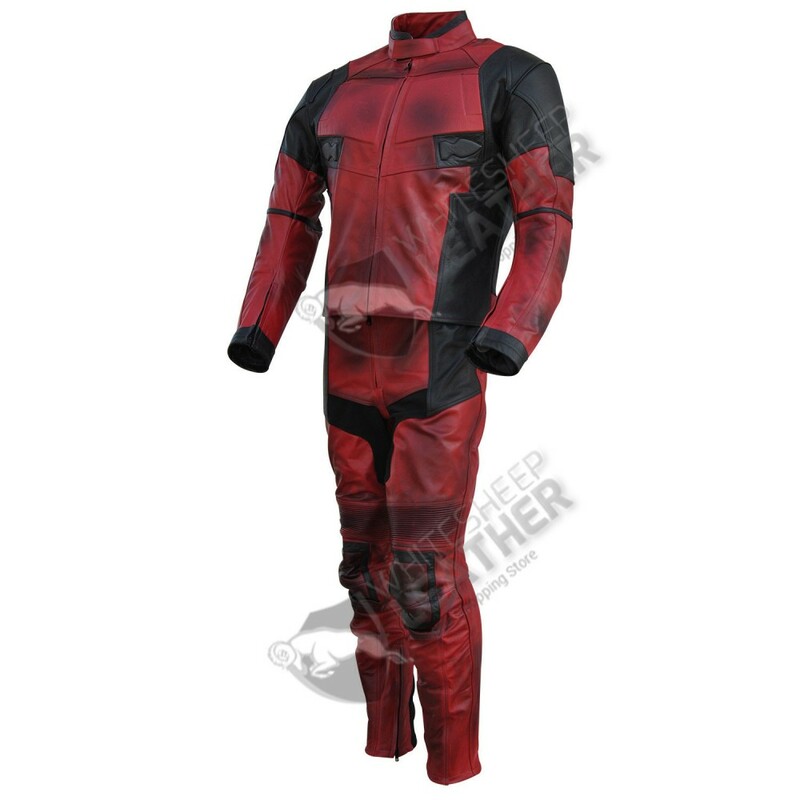 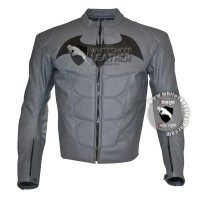 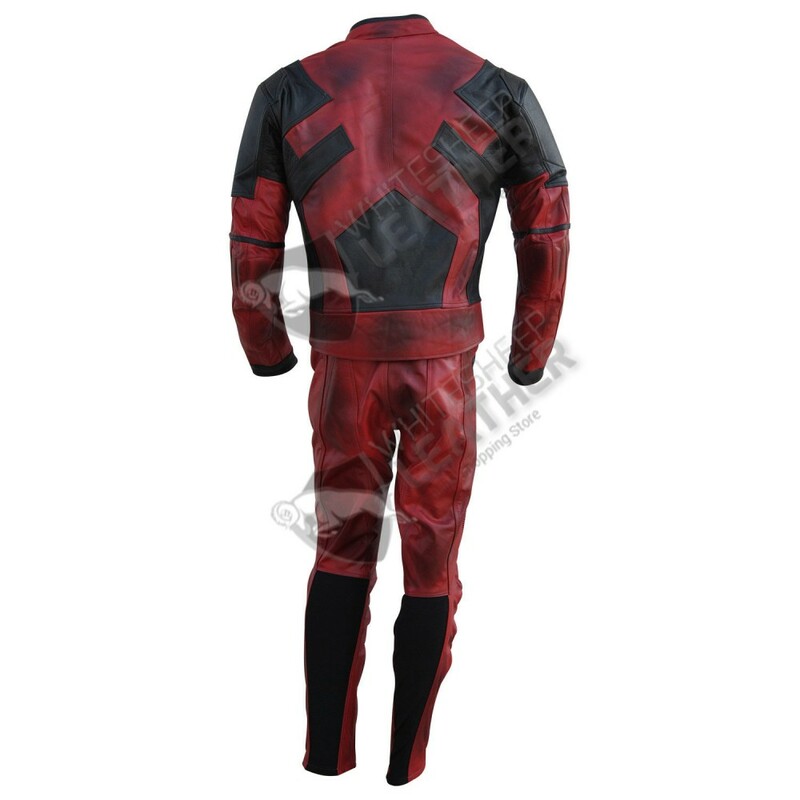 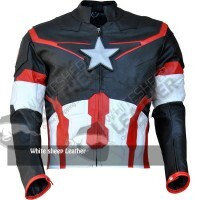 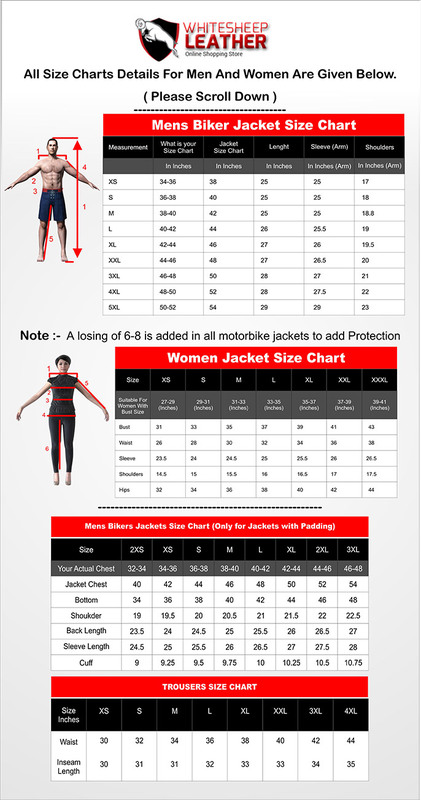 Ryan Reynolds DeadPool movie Motorcycle Leather suit is one of the popular costumes worldwide.it is simple and elegant with an enhanced distressed look.it is a special one to add to your collections. 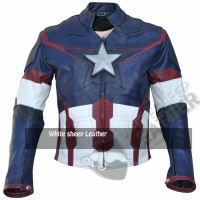 Wax Spray used to make it look distressed. 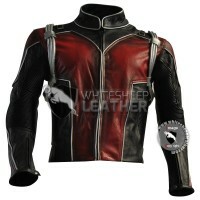 Fire Red and Black leather Combination gives it an elegant look. 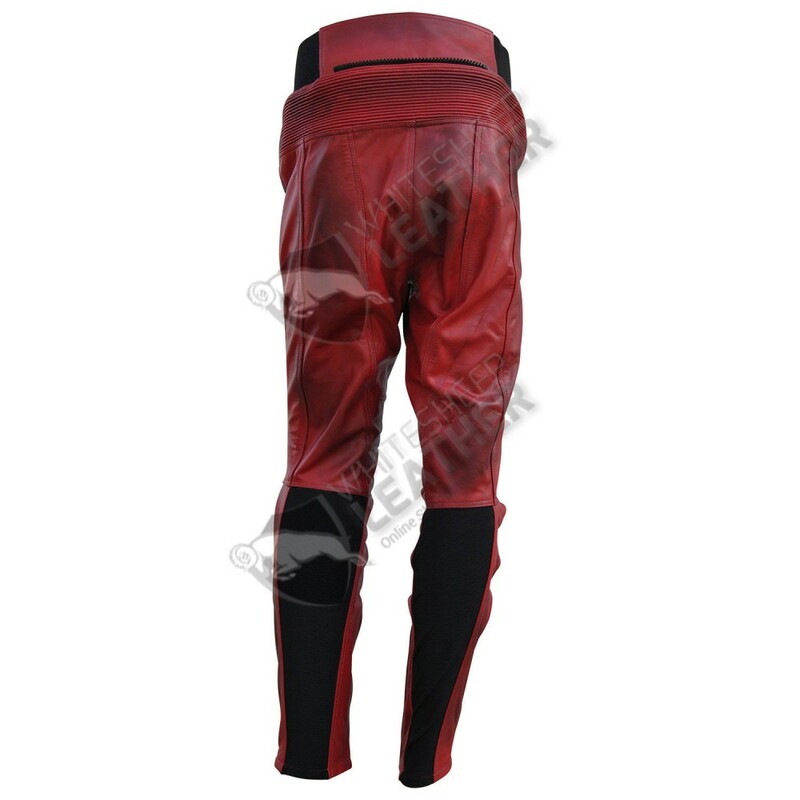 9 inch Zip on pants bottom for easy wear and unwear. 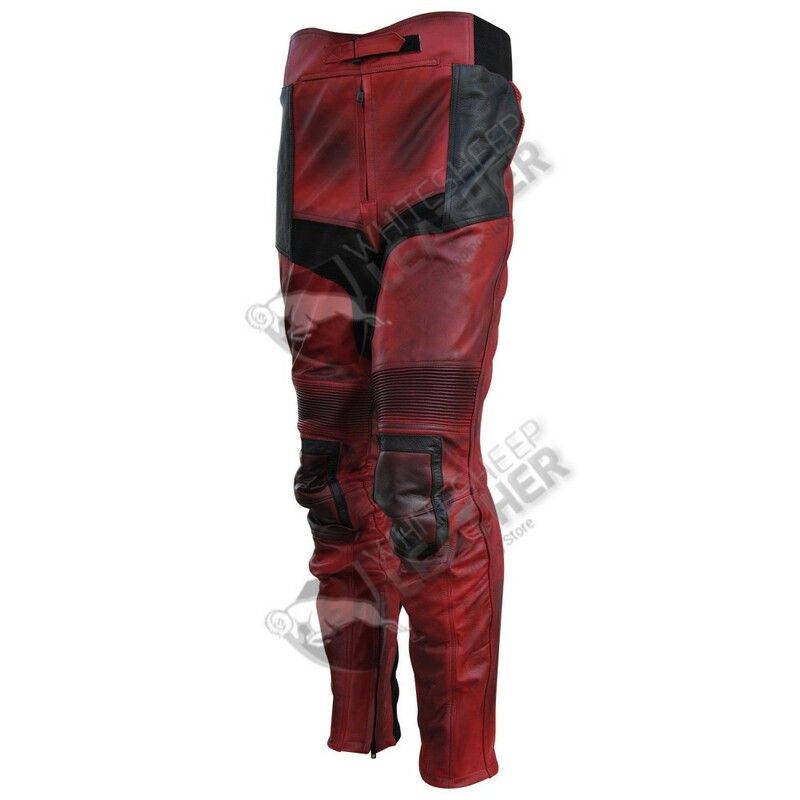 Front Zipper Fastening and Zipped cuffs.